Epilepsy is diagnosed when a person has had at least one seizure and there is a strong likelihood of future events. It is a neurological condition that can vary widely in symptoms, so it is best treated on an individual basis. 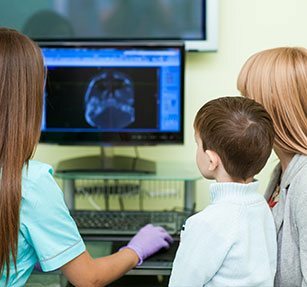 Boston Medical Center’s Comprehensive Epilepsy Center (CEC) is committed to helping patients and families get the best possible care for their unique case of epilepsy. A seizure can be caused by several forms of electrical disturbance within the brain. These disturbances may cause symptoms such as staring spells, quick jerking of the limbs, repetitive motions, stiffening muscles, or falling to the ground. Seizures are involuntary and often occur unpredictably, though some disturbances follow after a trigger of some kind. They are typically brief (less than 2 minutes) and non-emergent, though they may require immediate medical treatment if they last longer than 5 minutes. Dietary Therapy (ketogenic, MCT, Modified Atkins, and low-glycemic). Pharmacy Technician in clinic to assist with medication refills and prior authorizations. To make an appointment, please call 617.414.4501.